Street Pianos Invade Salem Oregon's capital city is echoing with the sounds of impromptu piano concerts this week. 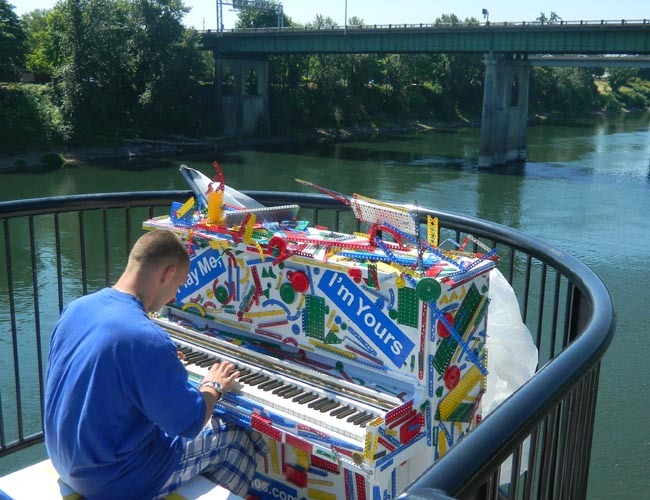 About a dozen brightly decorated street pianos are scattered about town. It's part of a worldwide phenomenon inspired by a British artist. 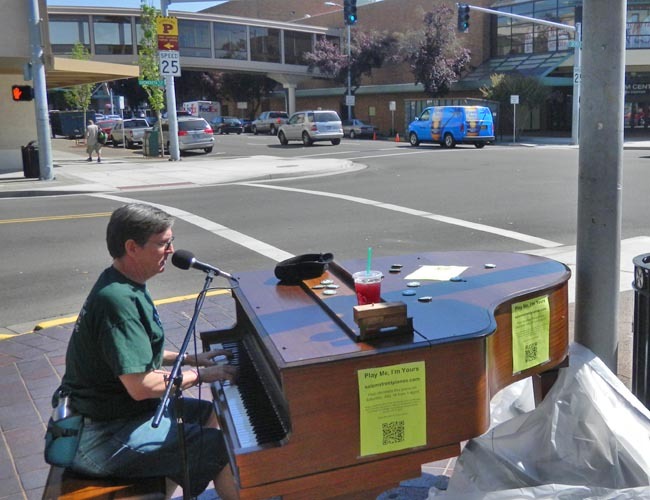 SALEM, Ore. – Oregon's capital city is echoing with the sounds of impromptu piano concerts this week. About a dozen brightly decorated street pianos are scattered about town. It's part of a worldwide phenomenon inspired by a British artist. "I was coming around the corner and suddenly I see that there's a baby grand on the corner, and I thought, whaaa…?" White sounds like a pro. But most of the music you'll hear around Salem this week will probably sound more like Michael Condash, who hopped off his bike to bang out a ditty on a piano located halfway across a bridge that spans the Willamette River. "I think it's really cool, honestly," Condash says. "Because you can just stop and have fun and enjoy yourself." Jerram couldn't make it to Salem because he's helping launch the Toronto version this month. His assistant, Sally Reay came to Oregon to offer technical support. One thing she's not worried about? The weather. It's hot and sunny in Salem these days. "We've had 50 pianos in London for the City of London Festival. And it's rained constantly for three weeks," Reay says. "So unfortunately not many of those pianos are going to be usable at the end of the project."